From now until the end of May, award-winning restaurant Mott 32, will donate 15% of the proceeds from every Ocean Wise dish sold to Ocean Wise and their sustainability efforts. VANCOUVER, British Columbia, April 17, 2019 (GLOBE NEWSWIRE) -- As part of Mott 32’s efforts to raise the bar for environmental sustainability in Chinese fine dining, and to celebrate Earth Day 2019, Mott 32 Vancouver will donate 15% of the proceeds from every Ocean Wise dish sold to Ocean Wise in support of their ocean-sustainability programs. Fragrant and complex. 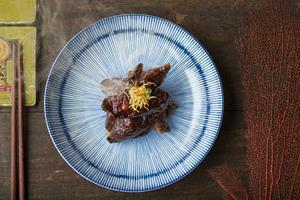 This dish is infused with white rose and jasmine aromas, and garnished with crispy ginger and shiso leaf. 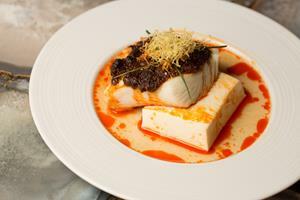 A powerful mixture of Szechuan traditional spices to draw out the natural flavors of the halibut and tofu. /EIN News/ -- In addition to their ongoing commitment to sustainable practices in both food service and business, Mott 32 Vancouver’s soon to be released Spring/Summer menu will feature dishes created using locally sourced ingredients, Ocean Wise seafood, and environmentally conscious cooking methods. When Mott 32 group owner and operator, Maximal Concepts, decided to expand their flagship brand, Vancouver’s eco-conscious mentality played a significant role in enticing the group to open their first international location on Canada’s West Coast. Partnering with Canadian food businesses that were known for their ethical practices and sustainability as well as their standards for quality, was a top priority for the team from the very beginning. Maximal Concept’s Culinary and Managing Director, Malcom Wood, was keen to have Mott 32 Vancouver’s menu feature as many local ingredients as possible. Mott 32 Vancouver’s dedication to creating exceptional fine dining experiences goes beyond the restaurant’s stunning décor and award-winning service. For Head Chef Kai Chung Lai, the story behind each ingredient –where it came from, and how it was prepared—is an essential part of what makes a dish truly unforgettable.